Desert View Systems takes Safety Compliance seriously. In 2017 McCraren Compliance began managing our safety training and compliance protocols. In 2017 Desert View Systems partnered with McCraren Compliance as part of our safety support management system. 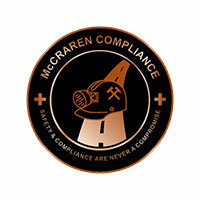 McCraren Compliance has played a fundamental role in providing ongoing safety audits and program updates for our company based on our current needs and continued growth. Desert View Systems provides a comprehensive safety training program for the protection of our clients and our employees. To our employees, we also provide generous incentives for maintaining safe habits and ensuring safe workspaces. ISNetworld Manages documentation and safety requirements for projects. McCraren Compliance manages safety training and compliance for Desert View Systems’ employees.